Nathan East, Bass Guitar - Phil Collins, Producer, Drums, Vocals, Writer, MainArtist - Brad Cole, Keyboards - Daryl Steurmer, Guitar - Hugh Padgham, Producer - Amy Keys, Backing Vocals - Arnold McCuller, Backing Vocals - Ronnie Caryl, Guitar - Vine St. Horns, Horn Copyright : 2016 Philip Collins Ltd. under exclusive license to Rhino Entertainment Company, A Warner Music Group Company 1996 Atlantic Records. 2016 Remastered Rhino Entertainment Company. David Frank, Keyboards - Phil Collins, Producer, Band Member, Vocals, Writer, MainArtist - Daryl Steurmer, Guitar - Leland Sklar, Bass Guitar - Hugh Padgham, Producer Copyright : 2016 Philip Collins Ltd. under exclusive license to Rhino Entertainment Company, A Warner Music Group Company 1985 Philip Collins Ltd. under exclusive license to Rhino Entertainment Company. Daryl Stuermer, Guitar - Martyn Ford, Conductor, String Arranger - Phil Collins, Producer, Drums, Tambourine, Vocals, MainArtist - Hugh Padgham, Engineer, Assistant Producer - Lamont Dozier, Writer - Eddie Holland, Writer - Brian Holland, Writer - John Giblin, Bass Guitar - J. Peter Robinson, Glockenspiel, Piano - The Mountain Fjord Orchestra, Orchestra Copyright : 2016 Philip Collins Ltd. under exclusive license to Rhino Entertainment Company, A Warner Music Group Company 1982 Atlantic Recording Corporation for US & Canada. 2016 Remastered Rhino Entertainment Company for World. Nathan East, Bass Guitar, Bass - Daryl Stuermer, Lead Guitar - Phil Collins, Producer, Mixer, Band Member, Drums, Vocals, Writer, MainArtist - Daniel Fornero, Trumpet - Arturo Velasco, Trombone - Brad Cole, Keyboards - Daryl Steurmer, Guitar - Harry Kim, Trumpet - Hugh Padgham, Producer, Mixer, Engineer - Amy Keys, Backing Vocals - Arnold McCuller, Backing Vocals - Ronnie Caryl, Guitar - Vine St. Horns, Horn - Simon Osborne, Assistant Engineer - Andrew Woolfolk, Saxophone Copyright : 2016 Philip Collins Ltd. under exclusive license to Rhino Entertainment Company, A Warner Music Group Company 1996 Atlantic Records. 2016 Remastered Rhino Entertainment Company. Nathan East, Bass Guitar - Phil Collins, Producer, Mixer, Drums, Keyboards, Vocals, Writer, MainArtist - Daryl Steurmer, Guitar - Hugh Padgham, Producer, Mixer, Engineer - Amy Keys, Backing Vocals - Arnold McCuller, Backing Vocals - Ronnie Caryl, Guitar Copyright : 2016 Philip Collins Ltd. under exclusive license to Rhino Entertainment Company, A Warner Music Group Company 1996 Atlantic Records. 2016 Remastered Rhino Entertainment Company. 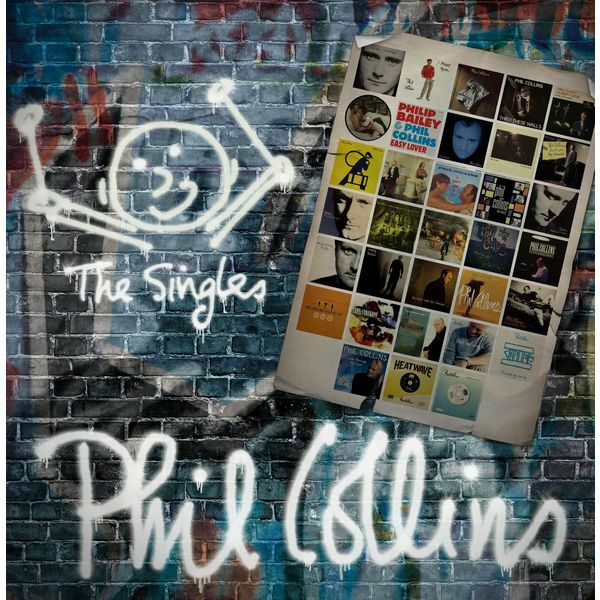 Phil Collins, Producer, Band Member, Drums, Keyboards, Vocals, Writer, MainArtist - Daryl Steurmer, Guitar - Mo Foster, Bass Guitar Copyright : 2016 Philip Collins Ltd. under exclusive license to Rhino Entertainment Company, A Warner Music Group Company 1982 Atlantic Recording Corporation for US & Canada. 2016 Remastered Rhino Entertainment Company for World. Don Murray, Producer - Daryl Stuermer, Producer - Arif Mardin, Producer - ROB MOUNSEY, Keyboards - Phil Collins, Drums, Vocals, Writer, MainArtist Copyright : 2016 Philip Collins Ltd. under exclusive license to Rhino Entertainment Company, A Warner Music Group Company 1984 Atlantic Records 2016 Remastered Rhino Entertainment. Arif Mardin, Producer - Phil Collins, Producer, Vocals, MainArtist - STEPHEN BISHOP, Writer - Hugh Padgham, Producer - Marilyn Martin, Vocals, MainArtist Copyright : 2016 Philip Collins Ltd. under exclusive license to Rhino Entertainment Company, A Warner Music Group Company 1984 Atlantic Records 2016 Remastered Rhino Entertainment. Phil Collins, Producer, Band Member, Vocals, Writer, MainArtist - Peter Gabriel, Backing Vocals - Sting, Backing Vocals - Daryl Steurmer, Guitar - Leland Sklar, Bass Guitar - Hugh Padgham, Producer - Helen Terry, Backing Vocals Copyright : 2016 Philip Collins Ltd. under exclusive license to Rhino Entertainment Company, A Warner Music Group Company 1985 Philip Collins Ltd. under exclusive license to Rhino Entertainment Company.